‘Tis the season for holiday celebrations with family, friends, and schoolmates. 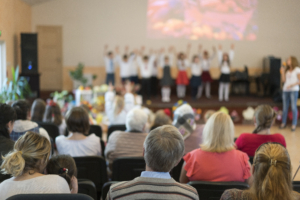 Is your school planning any parties or plays or concerts this season? No matter how you are celebrating, your school will likely be welcoming a higher than usual number or guests. How can you keep your school secure during the chaos while maintaining the holiday cheer? Let’s break down security protocol based on the event. Holiday guest preparation can largely be broken down into two categories – classroom events like class parties, and full school events like school concerts. If your school invites parents to join in on class parties, there may be an influx of parents that arrive during the same time. With a little preparation, you can welcome all of these parents without compromising your entryway protocol. All parents should still enter through the main, locked door and check-in before heading to the classroom. Assigning extra staff to man the entry can keep parents moving quickly and avoid a build-up in the lobby. You might also consider asking parents in advance to indicate whether they plan to attend the party so you can prepare name tags or badges to streamline the process. It is also always helpful to remind parents of entry protocol before the event so they can arrive informed and with ample time to sign-in. Many schools will host concerts, plays, and performances after school hours. School-wide events draw more guests than class parties and it would be largely impractical to enforce your standard daytime entryway protocol. Still, there are many ways to maintain security for all those in attendance. You can deploy permanent staff members or volunteers to man the entrances. These staff members can keep an eye out for suspicious activity and block off certain areas of the school that don’t need to be used for the event. Teachers should make sure their classroom doors are locked prior to the event. It may useful to involve emergency personnel. If you have a Security Resource Officer at your school, consider inviting them to attend. You can call your local police station to make them aware of the event – they might send a cruiser to scan the parking lot. At the beginning of the performance, take the time to provide a quick security briefing. Just like at the movies, identify the nearest exits and any other relevant response protocol tips. The more people at a school (or any event), the higher the chance of an emergency. Ensure you have medical equipment like an AED handy. 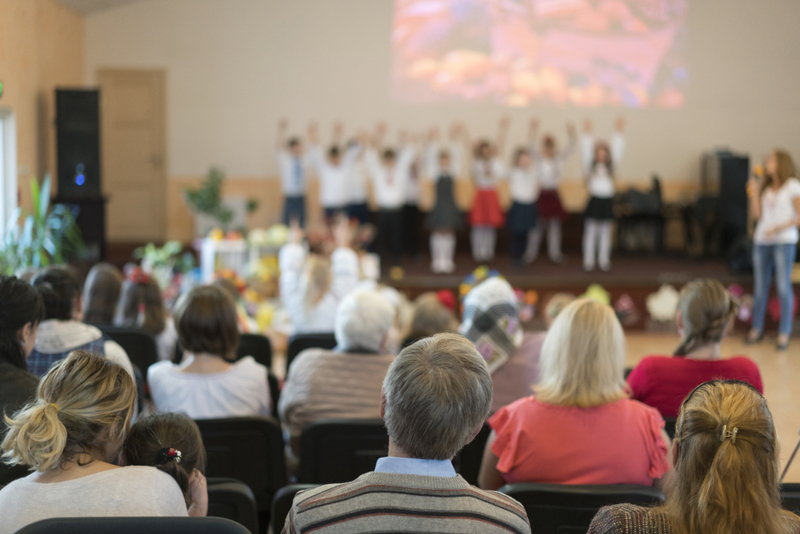 Consider that Grandparents attend many school events, and can pose health risks. If an emergency does occur, emergency response teams will need to respond, so it is essential all emergency parking areas are clear. When more people than usual are parking at the school it can be tempting to park in the emergency zones; consider having a volunteer monitor the parking lot to avoid this problem. A little preparation can go a long way. Sharing your expectations with teachers, staff, and visitors will make for more secure events. If you need assistance planning for your holiday guests, we’d love to help. Best of luck to all planning and attending celebrations at schools this season. We at SEC are wishing you all a joyful holiday season!